Please do not hesitate to get in touch with the College. Our contact information is listed below. 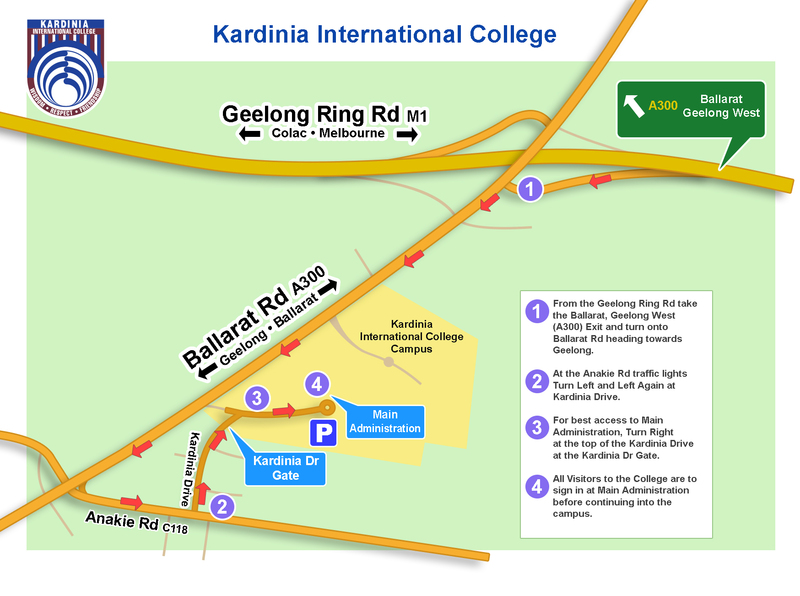 To keep up to date with the latest happenings at Kardinia, you can follow our new social media profiles. 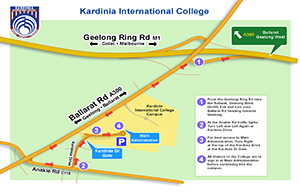 When arriving at the college make your way to Main Administration before continuing into the campus. Use the map to navigate your way to the Main Administration building or alternatively download a printable copy of the map to take with you.